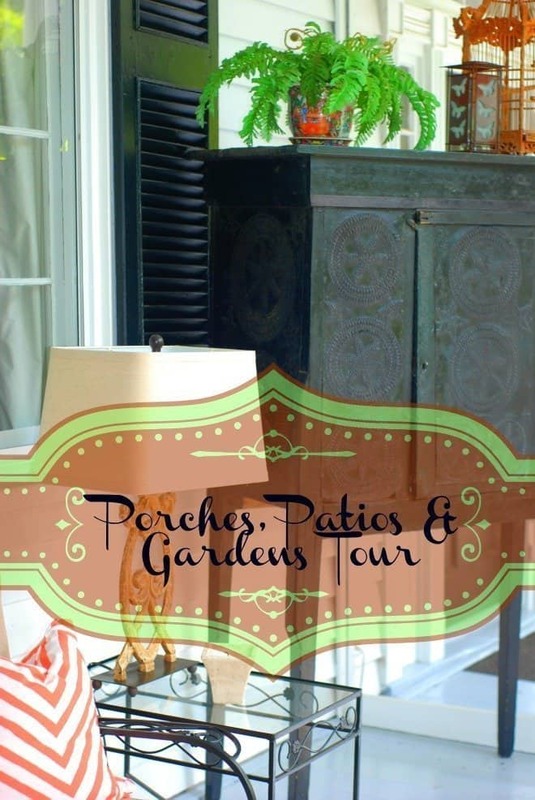 If you missed part 1 of the Porches, Patios & Gardens Tour in Cheraw, SC, you can find it here! A few weeks ago, on a Saturday, my three daughters and I had girls day out! It had been a while since the 4 of us had been together without the grands or husbands. We had so much fun that we decided we would make it a monthly date. After leaving the Butler home, the beautiful country estate on the Porches, Patios & Gardens Tour, my daughters and I journeyed back into town and into the beautiful historic district to The LaFayette house, built in 1822 and named in honor of General LaFayette. As we toured the grounds and porches, I could almost imagine attending the reception held for General LaFayette during his victory tour of the US back in 1825. 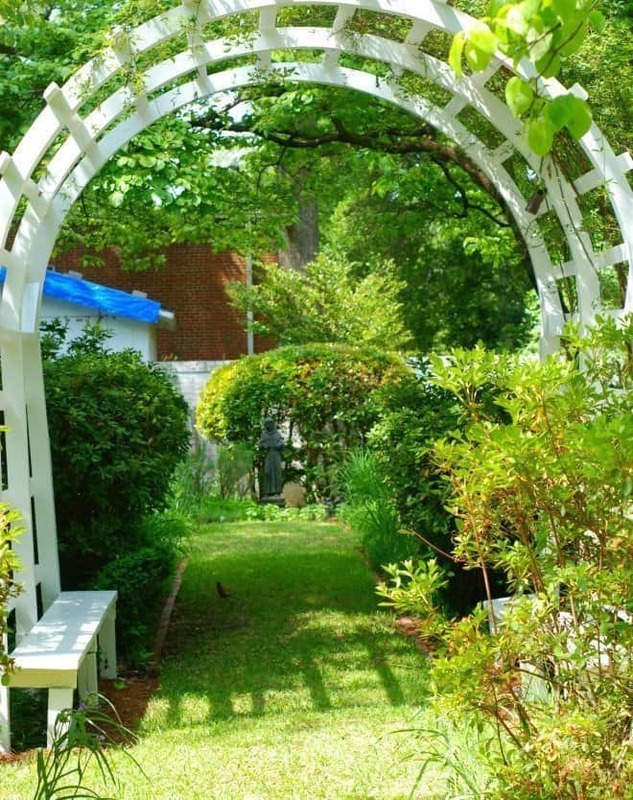 The gardens of the LaFayette house were designed by Harold Weldon, a noted Cheraw landscape architect, in two phases during the 1940’s and 50’s. I could have spent the rest of the day wondering around the gardens of the LaFayette home, daydreaming about grand balls, soirees and . . . but wait . . . what was that beautiful music I heard coming from down the street? You’ll have to come back next Thursday to find out! This tour was so fun! I loved it. Great pics, Mom! I did, too! We need to do something again real soon. 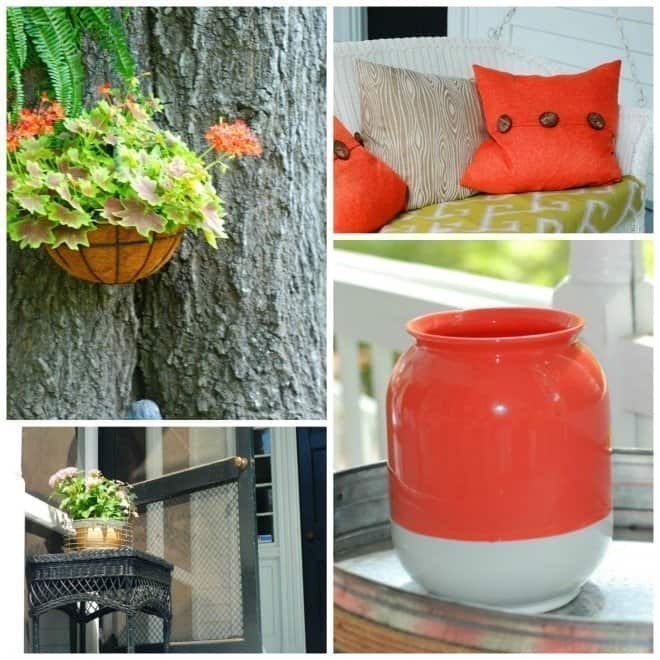 Love how you used the orange and green from the plant as inspiration for the jars, pillows and cushions. Just lovely! So beautiful and looks so relaxing!! I live in a townhouse now in the city and I love it but I can’t wait to live in a house with a large patio to decorate! Nadeen recently posted…Travel Around the World with Passport Players! Beautiful pics Alli. Your tour was a joy. I almost felt like I was there. Everything was beautiful. I loved touring all of the homes. The next one (part 3) was one of my faves! What a wonderful tour that you and the girls went to. 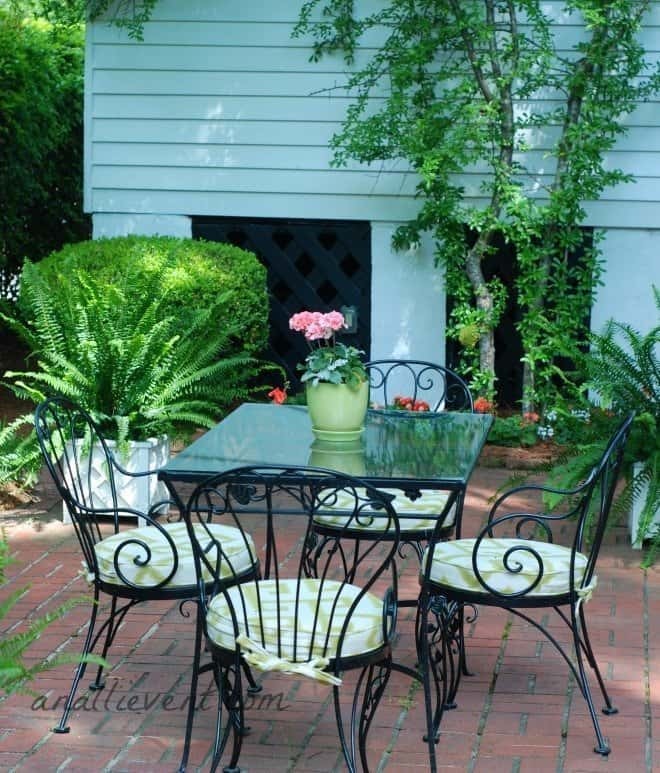 What lovely pictures and beautiful gardens. I would love to go there to relax, enjoy nature, clear my mind, and sip some tea. We did see some beautiful gardens. 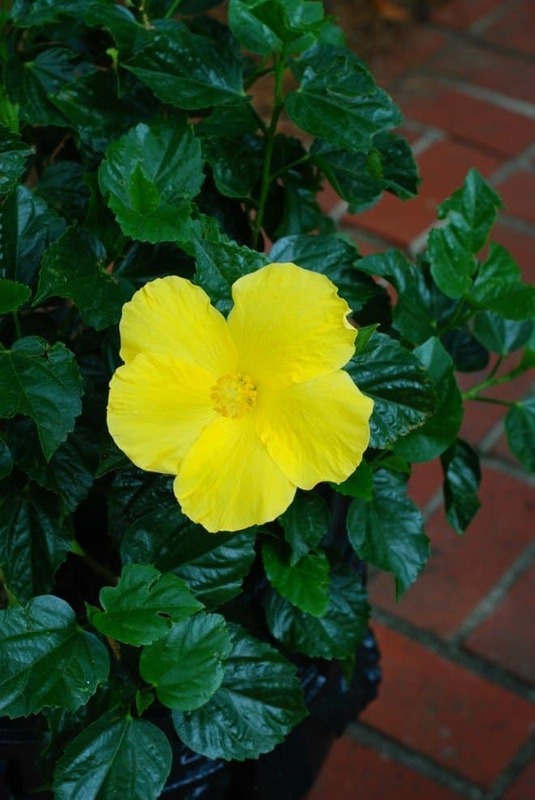 I still have 4 more posts to share about the gardens. 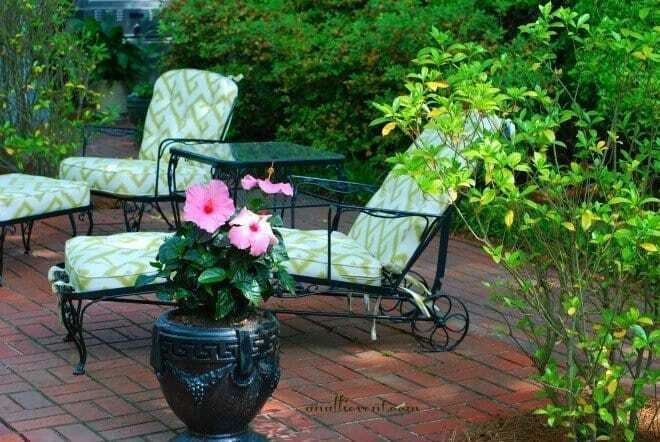 I love the cushions on those lounge chairs! The fabric on those lounge chairs is beautiful and I HAVE to find out where they got that melon with the white bottom jug. I’m a little obsessed with it! 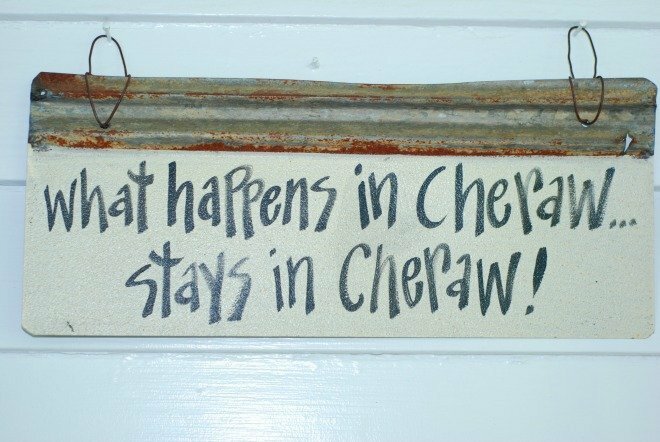 I do know that “Keven Lear on Main” supplied some of the outside decor. I don’t know if the jar was part of that collection. I loved it, too. Love this tour, thanks for sharing at The Weekend Social, hoping that I get to see what that music was playing down the street next weekend. I always enjoy a good linky party! 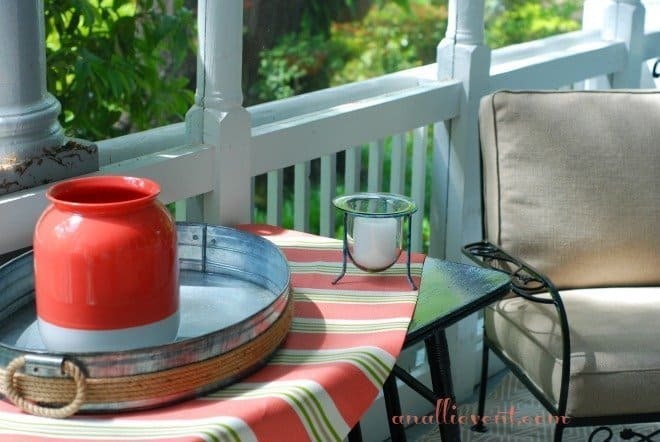 So lovely, I imagine sitting through this with a good book!